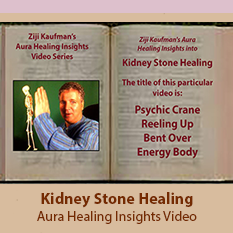 I'm Ziji Kaufman, and I do Aura Healings over the Phone or Webcam. 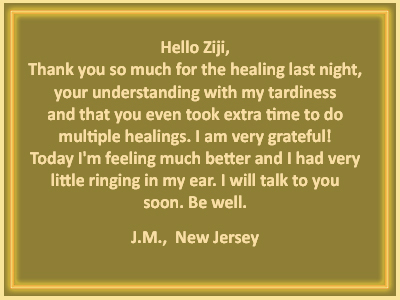 My first introductory healing session is free. All good-natured and compassionate people are invited to explore how my very special Aura Healing abilities can help you in your life. 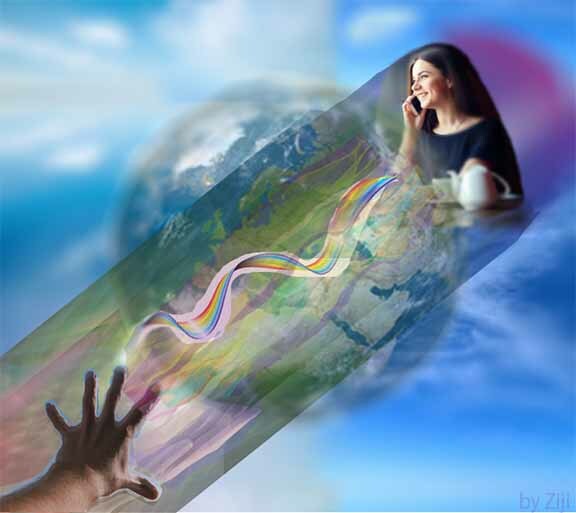 When you give me the privilege of tuning into and communicating with your aura telepathically over the phone (or webcam), I can, over time, dramatically improve your health in all its dimensions, which includes primarily your physical and emotional health, but also your mental and spiritual health too, if those aspects require attention. The time-frame for the transformation of your health depends on a wide variety of factors that are completely unique to you. No two people will have the same healing journey. 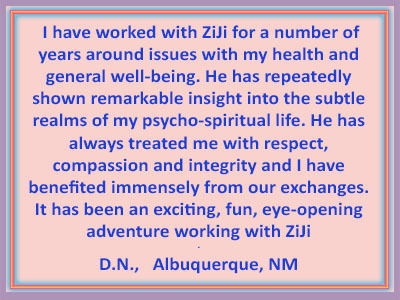 Although chronic health issues can take a while to reverse and heal, dramatically rapid, even seemingly miraculous improvements to your health are possible through my healing work. Duo to the unique nature of my Aura Healing work, I offer my first session FREE (over the phone or WebCam) to give you an experience of my work so you can better decide whether to embark on a longer term healing journey. 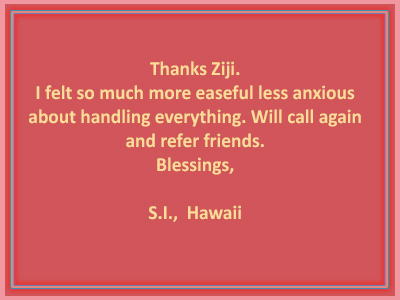 Even this one free introductory healing will likely take you to a new level of well being. 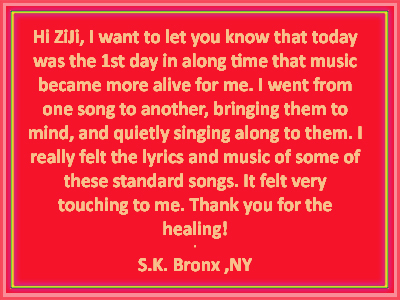 Regardless of whether or not you choose to continue past the free introductory healing, I believe you will get some important, positive, even perhaps life-transforming results, just from this one free session. 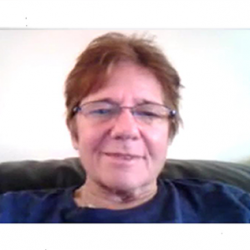 It is completely unique to you and the condition(s) you are looking to heal or transform as to how many healing sessions you may need following the free introductory session, and how often you should have them. 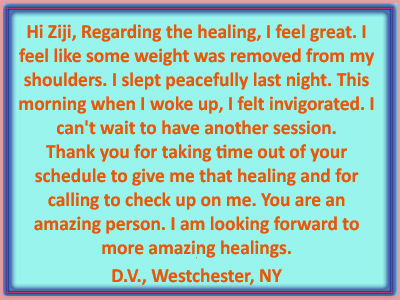 For some people, the one free session is enough to catapult them to the next level of their healing journey, and I always feel blessed and honored to have had the opportunity to assist people in getting to this next level. 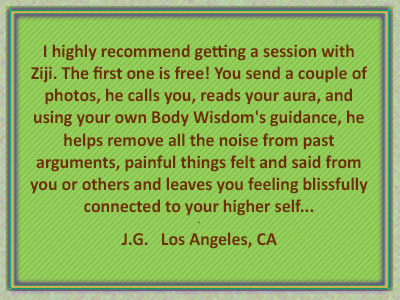 (Note: The free session is exactly the same as all my sessions, lasting between and hour to an hour and a half). Through my 30+ years of meditation and inner self-healing work, I believe I have developed a significant mastery over how my own Aura / Energy Body works, and by extension, how people's Auras / Energy Bodies work generally. Part of this inner self-mastery work has been about learning how to communicate with and receive communications from the 'BODY WISDOM' - which I believe is the 'Universal Language' of the human body/aura that lies within each of us. 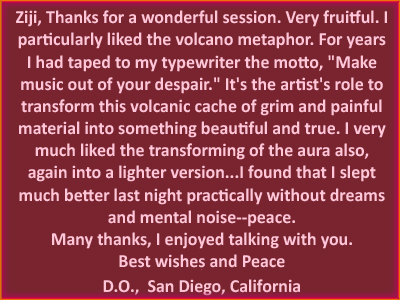 This is the behind-the-scenes 'language' that is responsible for overseeing such vital physiological functions as heart beat, breathing, and digestion, as well as overseeing the emotional, symbolic dream-imagery integration processes that gets carried out while we're sleeping. 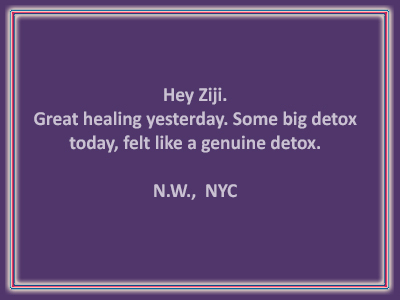 During the 30+ years of my inner transformational self-healing journey, I have worked tirelessly with my own 'Body Wisdom' to peel away countless layers of physical and emotional traumas that had been buried deep within my Auric Energy body. Every time I peel away another layer, my knowledge of the 'Universal Language' of the human aura expands, as does my ability to help YOU to heal similar physical and emotional traumas lying buried within your Auric Body. 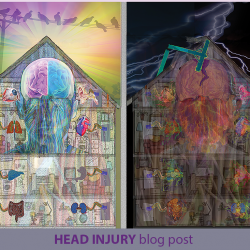 The following image shows some of these traumas/issues that I have unearthed and significantly transformed thus far on my own healing journey. 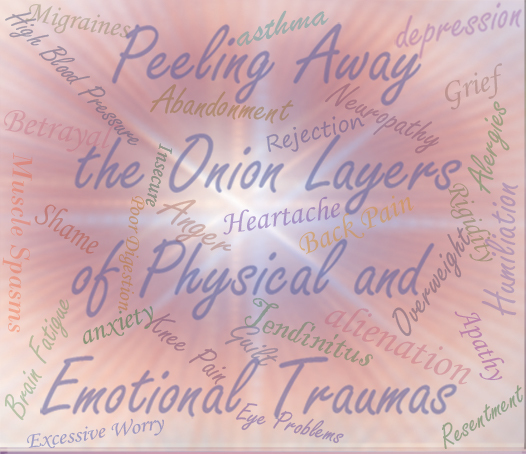 I use the analogy of peeling away the layers of an onion to speak about how these traumas are buried in the Aura's energy layers . 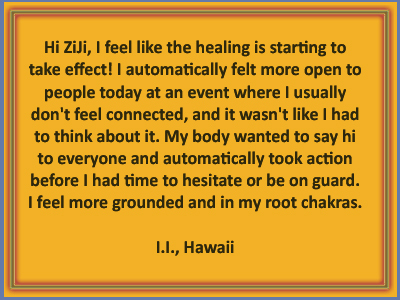 The 'Body Wisdom' records all physical and emotional traumas that have ever happened to us, and can, under optimal circumstances, mobilize the body's miraculous self-healing capabilities to substantially heal many of these traumas. Although your Body Wisdom ultimately knows the roadmap back to health, it is usually overwhelmed with handling unrelenting life traumas which get layered on top of older, un-healed traumas. 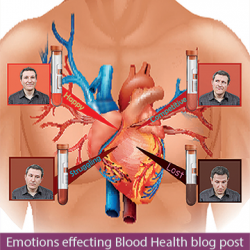 So your Body Wisdom eventually loses track of the pathways back to your optimal health. 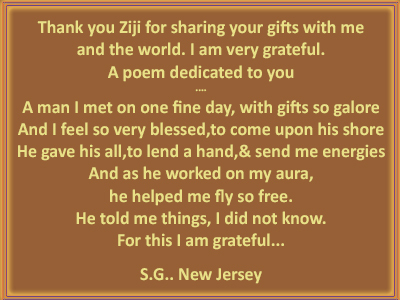 This is where my special gifts of healing can intervene to greatly assist your own Body Wisdom's efforts. 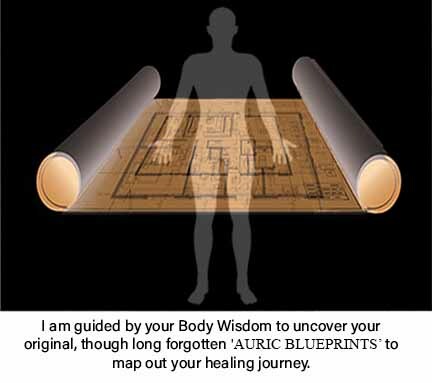 By my mapping out every-increasing regions of my own 'Auric Blueprint' through my 30+ years of inner healing work, your Body Wisdom makes use of this blueprint to remember the pathways back to your optimal health, and can thus begin repairing these long-forgotten roadways which lead to these older, buried, un-healed traumas. guiding my healing work every step of the way, no decision is ever being made that your body has not ‘signed-off on’. X-Ray-like visions that show me exactly what’s happening inside your body. There is virtually no microscopic magnification that I can’t see if your body’s wisdom directs me to focus my attention on a particular microscopic region. It might direct me to focus on the physical body, for example, on structural problems within your bones, muscles, spinal cord, or brain. Or, it may focus my attention on your auric body; for example, the distortions of specific chakras in any of the 7 layers of the aura. 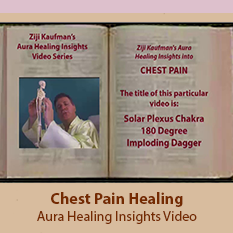 To be clear, what I am 'healing' in my sessions, is the Aura. But as you can see from the images above, the Aura begins INSIDE the body, not simply surrounding the body in the outer colored layers. 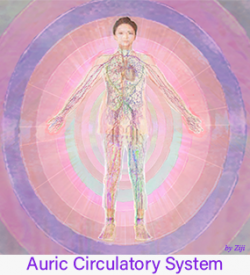 Some people refer to the Aura inside the body as Underlying Energetic Matrix of the Physical Body. From my experience, this Underlying Energetic Matrix is essentially an exact duplicate of the Physical Body, only in energetic form. 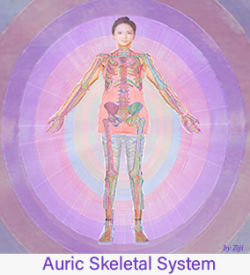 When I am guided to do healing work on this 'Inner Aura' like the Auric Skeletal System, for example, there is typically a delay time before the cells of the Physical Body 'catch up' to the healed Underlying Energy Body. 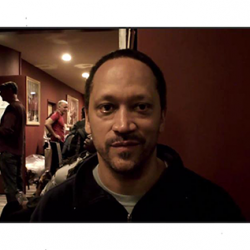 More on this topic further down on this page and elsewhere in my website. unfolded from start to finish. You do not have to talk about and re-experience these past emotions to release them, as in a psychotherapy session. During healing sessions, traumas get removed with no real effort from your conscious mind. Your conscious mind won’t even know they’re being released. But your physical, emotional and spiritual health will be greatly improved as a result of your body’s wisdom choosing to release these traumas. Although I never go 'looking' for my client's past lives during healing sessions, sometimes a client's Body Wisdom will show me extremely precise visions of one or more of their past lives. Indeed, these visions are often like mini movies, shown to me in living color, with all of the detail of a real life scene. 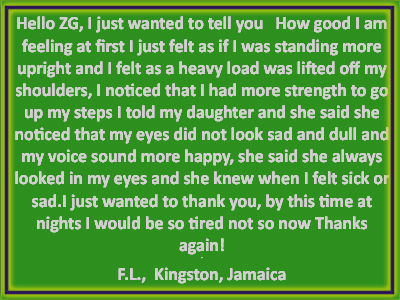 Typically these past lives are NOT recognizable people from history, so when a client's Body Wisdom shows me a past life, there is usually some important learning that my client needs to reflect on, the person having qualities that my client has in THIS lifetime, and reflecting on these qualities is fundamental to breaking through energetic blocks getting in the way of their healing progress. When I start working with a client, their Body Wisdom will usually begin guiding me to heal health conditions from THIS LIFETIME first. 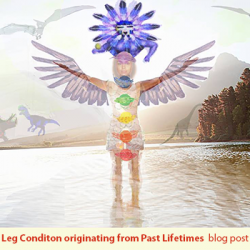 After a number of healing sessions, a client's Body Wisdom may make the assessment that the remainder of blocks standing in the way of their healing journey, come from previous reincarnations. So, one lifetime at a time, the client's Body Wisdom may guide me to heal the traumas from these previous reincarnations. 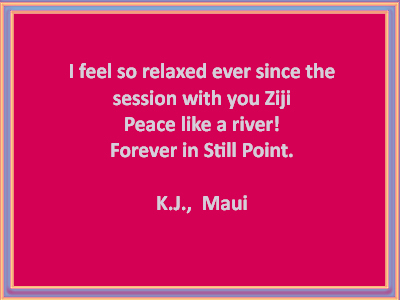 After moving through a few of the client's past lives, a story-line typically begins to emerge that I refer to as the client's 'Multi-Reincarnationl Journey'. Some metaphysically-minded people may refer to this as the 'CONTRACT' that a soul might make with the Universal God/Goddess, 'SIGNING UP' to go through a series of reincarnations to gain the experience needed for some ultimate spiritually important 'mission' that they will fulfill eventually on Earth. Of course, this concept of a 'Multi Reincarnational Contract' goes against those who believe in 'free will', and the accumulation of good or bad Karma from lifetime to lifetime. 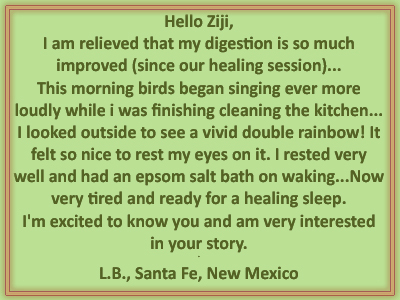 Either way, the journey through your past lives, should your Body Wisdom choose to guide me to heal aspects of them during our sessions, should be fascinating and enriching for you, as well as transformational to your health issue(s)! 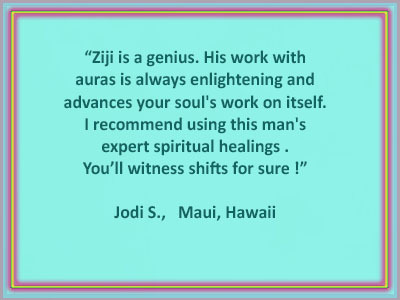 Psychic Healing, Spiritual Healing, Pranic Healing, or Distance Reiki Healing), let me give a brief description of this profound phenomenon. Basically it's the same process that Psychics use to read people's minds, but here it's energy being transferred between the healer and client, in my case, I am transferring energy to clients anywhere on the planet. Whatever I can do in person, I can do at any distance across the globe. 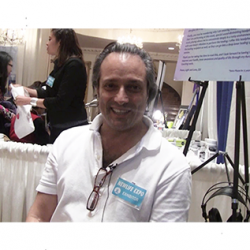 Why I Use Phone Or Webcam when I could do the Long Distance Healing without Phone or Webcam ? I have made a choice to not simply ‘heal someone at a distance’ without having a live connection with them over the phone or Webcam. I want to talk to the person I’m doing a healing session with, both before and after the healing, so that the person understands to some degree what’s being healed AND WHY the healing was necessary in all its dimensions. For instance, during a healing I will often times hone in on a belief system that that person has, that I can see has greatly contributed to the person’s health issue(s). Sometimes, a person’s belief systems are at the root of a chronic illness and it is often necessary for a person to understand and work to change their belief system if a healing is going to last permanently. If the belief system that created the physical and/or emotional condition isn't changed , what gets worked on in a healing session will eventually return. But if you work to change that belief system, the healing I do will be that much more permanent. Note: My cell phone plan currently allows me unlimited calls throughout the United States and it’s territories. 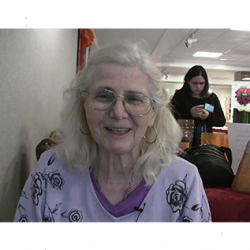 International healing sessions use Webcam. 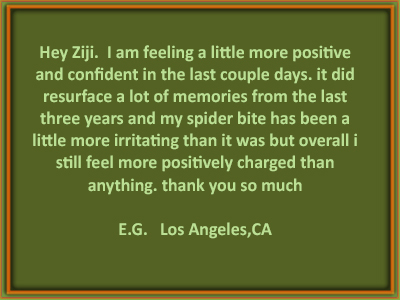 As part of every healing that I do, the client's Aura will be significantly cleared of negative energies that have been accumulating around them. Let me make a distinction here between fundamental traumas that have actually happened to the client, in this and past lifetimes, verses dark or negative energies that the client has picked up in their day to day interactions with people. The Aura Clearing part of my healing sessions deal with this second case: that of negative energies that are NOT from our past traumas, but instead, energies that we have picked up from everyday life. 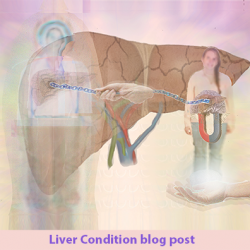 A typical examples of a way that people can pick up dark or negative energies might be interacting with a sick relative, particularly one that's been in the hospital, where doctors and nurses may transfer energies they've picked up from other hospital patients to your relative, who then may pass them on to you. Indeed, the situations most of us are in on a daily basis, offer ample opportunities for these types of dark or negative energies to attach themselves to our Auras. In a typical healing session, I will clear your aura of these energies at the very beginning of the session, and then do a second or third healing focusing on YOUR FUNDAMENTAL TRAUMAS that have actually happened to you in this and past lives. 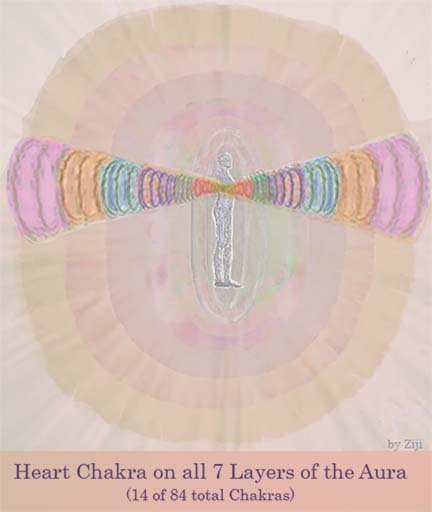 Another important dimension to my Aura Distance Healing work, is the realization that there are a total of 84 Chakras in the Human Aura, 12 Chakras on each of the 7 layers. 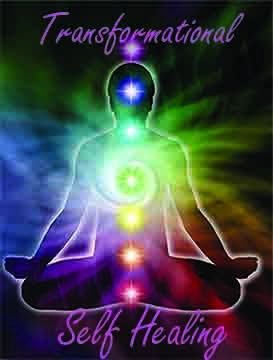 Most metaphysical texts and teachers only acknowledge 7 'Primary' Chakras on the 1st layer of the Aura (listed below). But there are Back Chakras to 5 of these Primary Chakras, which totals 12 Chakras on the 1st layer of the Aura, times 7 layers, equals again, 84 distinct Chakras, each with their own colors. Also shown in the image are the 14 Chakras comprising the 7 layers of the Heart Chakra. 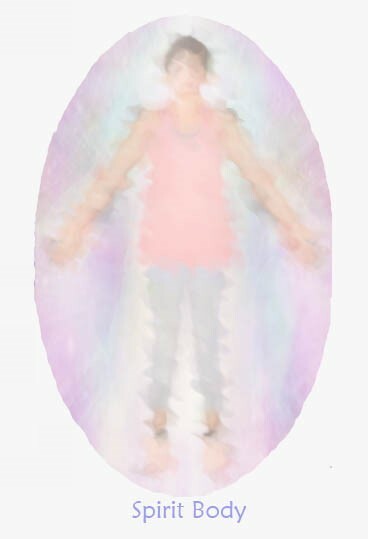 1st Layer of the Aura – Usually referred to as the Etheric Body. I call it the Physical Layer Of The Aura because it closely surrounds and interpenetrates the physical body. 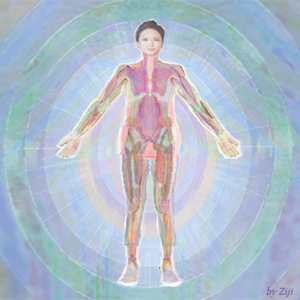 2nd Layer of the Aura – Usually referred to as the Emotional Body. As the name implies, this layer holds our personal feelings and emotions about ourselves. 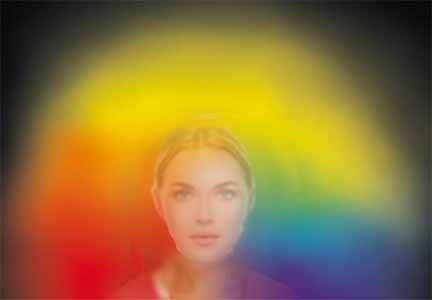 3rd Layer of the Aura – Usually referred to as the Mental Body. As the name implies, this is the layer where our thoughts reside. 4th Layer of the Aura – Usually referred to as the Astral Body. I call it the ‘People Body’ because this is where all of our experiences with People reside. Lower consciousness spirits can also reside on this layer, as opposed to the 6th layer which houses the higher consciousness spirits. 5th Layer of the Aura – Sometimes referred to as the ‘Etheric Template’ or the ‘Etheric Double’, because it is a greatly magnified energetic template or duplicate of the physical body. I call this layer ‘The Boiler Room Layer’ because, like a mechanical room in a building that houses the boiler, the electrical fuse box, the plumbing, etc., this layer holds the ‘inner workings’ of all the layers beneath it. 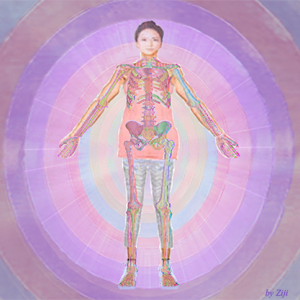 I refer to this layer as the ‘Human Umbrella Layer’ because it contains within it, all the ‘Human’ layers of the aura. 6th Layer of the Aura – Sometimes referred to as the ‘Celestial Body’. I refer to it as the ‘Spiritual or Spirit Layer of the Aura’. This is the layer were the higher consciousness spirits reside, including Angels and Archangels. 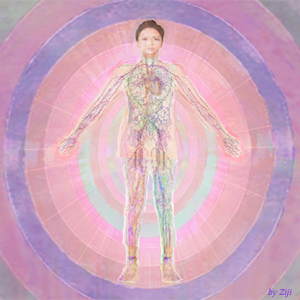 7th Layer of the Aura – Sometimes referred to as the ‘Ketheric Template Body’. I sometimes refer to this layer as the ‘God Layer’, since the most sublime spiritual states of consciousness reside here. This is the ultimate ‘Umbrella’ of the whole Human Being, housing both the Spiritual Dimensions of the Human Being in the 6th and 7th layers, and the Human Dimension contained underneath the 5th layer ‘umbrella’. The difference between negative 'energies' and negative or 'entities' is that an entity has consciousness. It is a 'spirit being', like we humans too are spirit beings housed in a physical vessel called the body. There are a variety of 'entities' that we can pick up in our day to day interactions, most of them are extremely small, often microscopic, and relatively benign. Having an entity attach itself to you aura is never a good thing, but most entities are not evil and will primarily try to 'seek shelter' inside your body to get 'out of the cold' and into our 98 degree body environment, where there is a food supply steadily arriving via blood cells, as well as a relatively quiet place to 'go to sleep'. The main factor as to whether an entity will be able to penetrate deep into your body, or hover outside your body at varying distances, is whether there is some kind of 'symbiotic or sympathetic emotional attraction which either magnetically pulls an entity closer to you or keeps them at a distance, hovering loosely around your aura. 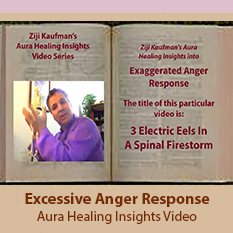 It's these latter, loosely connected entities, that are easy for me to clear from your aura during the beginning part of a healing session. The entities that have a strong symbiotic / sympathetic magnetism to you, will get pulled in deeper into your aura, and will typically require additional guided healing techniques to remove. These deeper entities typically get into our bodies through physical and emotional traumas that create ‘holes, tears, or leaks' in a person’s aura that Astral Entities or Spirit Beings can enter into and ‘live’ in, feeding off of your energy like parasites. 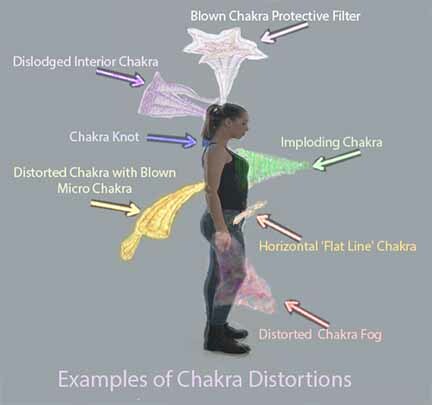 As mentioned, most of these entities are extremely small and relatively benign, although they do clog up the smooth functioning of your aura and body, and siphon off a small portion of your energy, but they're not an immediate threat to your health. in. 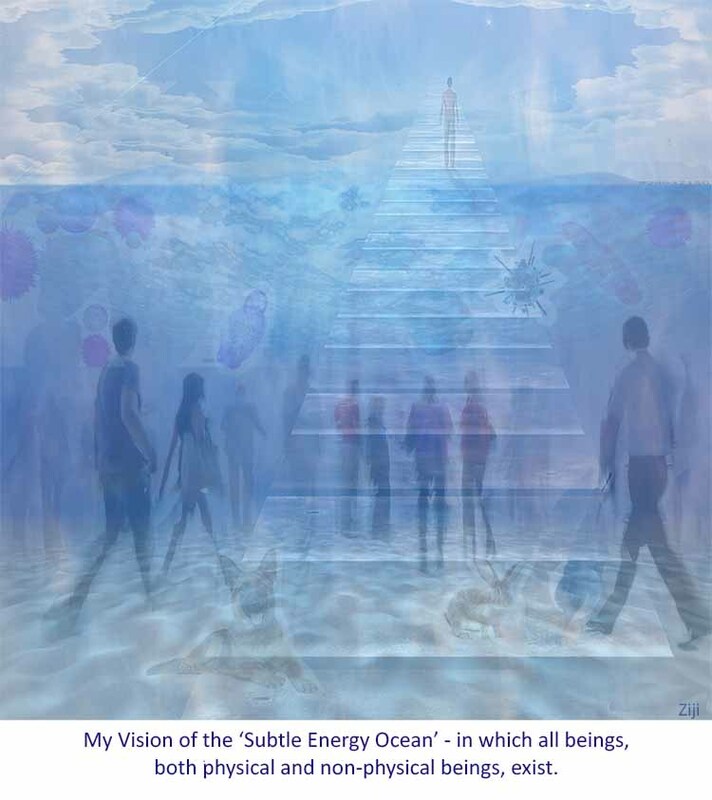 As I often explain to my clients: just as in the regular ocean there are sea creatures of every shape and size, so too in the ‘subtle energy ocean’ there are non-physical beings of every shape and size. Most are extremely small and relatively benign. ALL of which I am capable of removing from your aura. 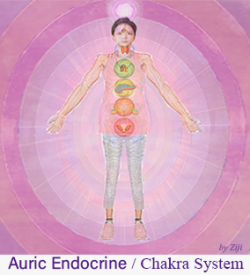 The Auric Endocrine - Chakra System is the direct interface between our Light Body and our Physical Body. 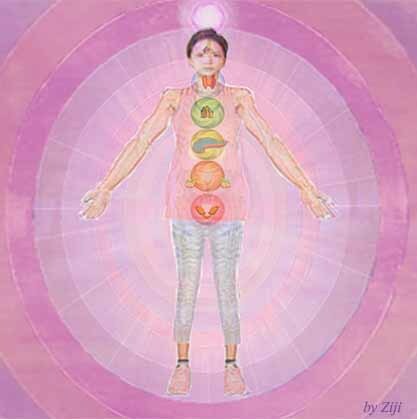 Light energies from the Universe enter our body through the Chakra System, connecting directly with our Endocrine Glands. Although the placement of the glands are not always exactly positioned where their associated chakras are located, their interdependence is hard to overlook. 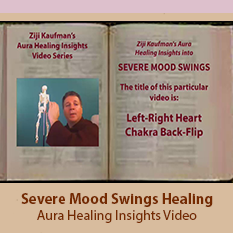 (1) The Root Chakra interfaces with the Adrenal Glands (some say the Testes as well) Although the Adrenal Glands are not really in close proximity to the Root Chakra, their fight-or-flight functions seems to connect directly. The Adreanal Glands have many functions, including producing hormones that help control blood sugar, burn protein and fat, help fight major illness or injury, and regulate blood pressure. Firstly there is the flesh and bones PHYSICAL BODY. Next is OUR SPIRIT BODY, which is eternal, and lives on from lifetime to lifetime, whether incarnating into a physical body in a given lifetime, or existing solely as a Spirit in Spirit Body in between lifetimes. If you, as the reader, have a fundamental problem with this basic Physical Body verses Spirit Body distinction, which in my view, incorporates the related concept of Reincarnation, then perhaps my healing approach along with my belief systems aren’t’ going to be for you. 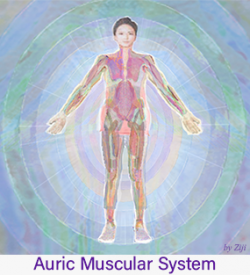 The Underlying Auric Architecture Body (referred to as U-A-A) is the energy field which underlies the physical body and is essentially an exact duplicate of the physical body in energetic form. 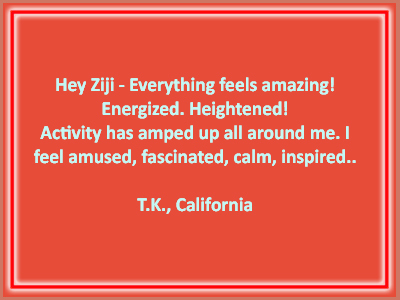 As I see it, and have experienced it, the U-A-A (again, U-A-A refers to the Underlying Auric Architecture) Body comes FIRST, and the cells of the physical body align themselves along its energetic grid lines. Thus, for example, there is an energetic nervous system which underlies the physical nervous system, and so it is for every internal organ and system in the body. 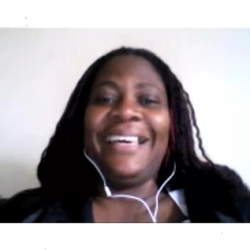 Exactly how and why the Spirit Body does not perfectly align with the physical body or the U-A-A, is a basic concern of my Aura Healing work and is oftentimes the root cause of physical and/or emotional health conditions. 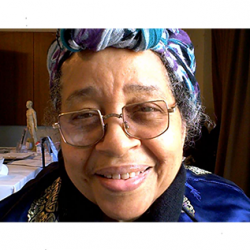 My Remote Aura Healing work can greatly improve many Physical Body conditions as well as Emotional Body conditions. One potential cause of Physical and/or Emotional conditions relates to what I'll refer to here as 'Spirit Body Phenomenon'. One type of Spirit Body phenomenon relates to how our own Spirit gets dislocated from our U.A.A.B and of course, the physical body as well. Both physical and emotional traumas can cause our Spirit Body's to move permanently in any direction, dictated by the location of the trauma. 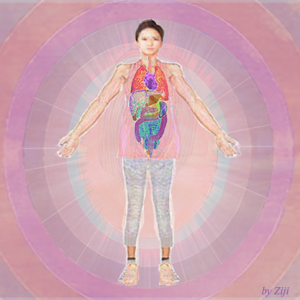 These Spirit Body dislocations create highly vulnerable areas in the Aura and Body, because the optimum health of any particular organ and/or system of the body, depends on our Spirit Body being INSIDE and Aligned with the Physical Body. I will cover this topic in greater detail on the page entitled 'My Unique Approach To Aura Healing' (click the link at the bottom of this section). 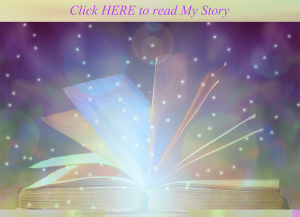 There are other 'Spirit Phenomenon' that my Remote Aura Healing work can greatly impact. 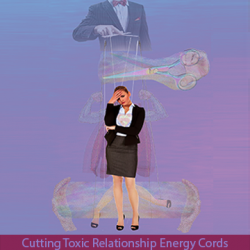 This includes such abilities as removing Spirit Entities from the Aura, and cutting unwanted Spirit Cords which connect people in unhealthy ways. This is really a vast topic that again, I will cover this topic in greater detail on the page entitled 'My Unique Approach To Aura Healing' (click the link at the bottom of this section). Many people associate the Aura with the colors that surround the body, but from my experience. the Aura originates INSIDE the body, as the fundamental source of our spiritual light. 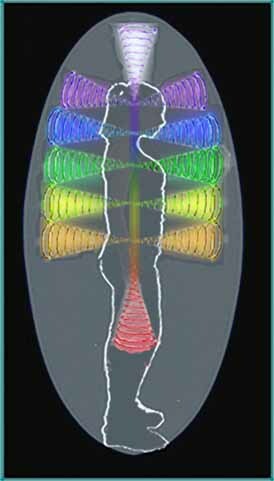 This inner-body SOURCE of light, then expands beyond the physical body, organizing its radiating light energies into 7 distinct layers, widely described in the metaphysical literature. 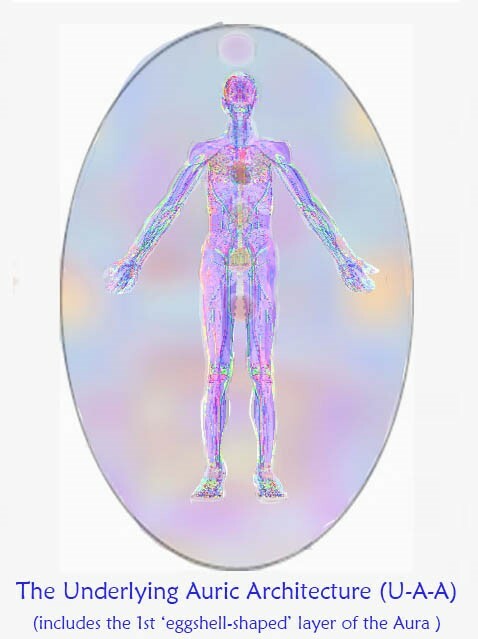 While my Aura Healings can certainly cleanse, expand, and bring the Aura to its full, brilliant color-spectrum potential in each of thes 7 layers of the Aura, my healings more often than not, will begin with focusing on the SOURCE of light, which as I mentioned, originates INSIDE the body. I call this source of light, the Underlying, Auric Architecture Body (or U.A.A.B.). This U.A.A.B. more or less models the various organ-systems of the physical body. 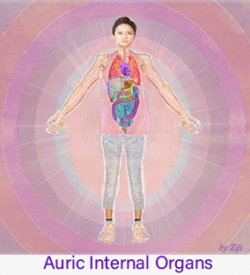 -An Auric Integumentary System, which includes the Auric Skin (which has a minimum adult surface area of over 16 square feet) , Auric Nails, Auric Hair, and Auric Exocrine Glands. supports, energizes and brings to life all dimensions of the physical body. have to work with a broken or distorted ‘blueprint’ to lay down the cells in it’s attempt to heal itself. In this case, the healing of this injury will NEVER be 100 percent. ‘blueprint’ to lay cells down upon and can heal the injury fast and correctly. correct blueprint to begin healing itself fast and correctly. strongly encourage you to take this phenomenon seriously, as it might save you weeks, months, even years of agonizing pain ! more likely that your body will recover 100 percent. There can, for example, be deceased human beings who you had some relationship to when they were alive, and now they decide to stick around your aura while they're on the 'other side' and you're still alive. They could be relationships from past lives, that for one reason or another, needed some closure due to some unresolved aspect to your relationship while on earth together. 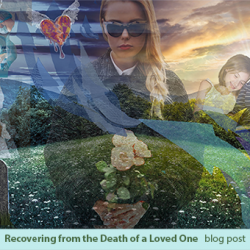 For sure, some of these deceased humans may be 'loved ones', like your parents or relatives. In these cases, while it's still usually unhealthy for a beloved deceased relative to be 'hanging around' you for extended periods of time once they've passed on, these 'beloved Spirit Visitations' are usually benign, and may even be uplifting and inspirational at times. Most people cant perceive these more beloved 'Spirit Visitations' , although more people than will readily admit, do occasionally 'sense' the presence of their deceased relatives. I, of course, can see (clairvoyance), hear (clairaudiance) and feel (clairsentience),these spirit entities when they show up during a healing and I am guided to pay attention to them for some reason. Many people might 'see' a beloved deceased relative in vivid dreams, or hear subtle voices or mysterious 'touches' reminding them of this relative. 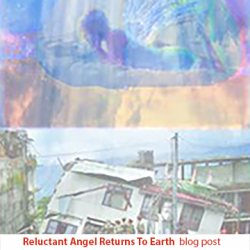 More rarely, some Astral Entities or Spirit Beings can be more destructive and be a major cause of your health issue(s). For these more powerful forces, considerably more healing work is typically needed to remove them from your aura. One major source of these more destructive entities, is Alcohol. There is a reason that Alcohol is called 'Spirits'. 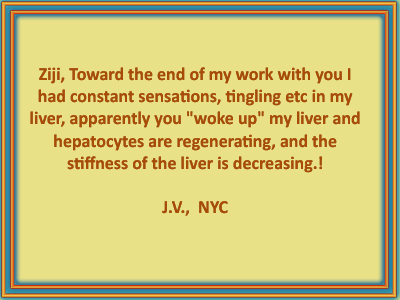 Not all alcoholic beverages will cause destructive 'Spirits' to attach themselves to your energy body, but many will. Each beverage type as well as the individual brand and time of fermentation, will produce 'Spirits' that have varying degrees of destructive capabilities. Another source of picking up these destructive entities would be anyone who's either been in or worked in a prison, or a psychiatric hospital. 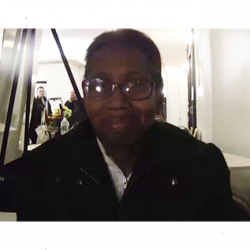 These types of institutions house people with varying psychosis, which will attract, and may themselves produce destructive and dangerous spirit entities, Any of these types of entities can be removed during my healing sessions, so long as I am guided to remove them by the client's Body Wisdom. 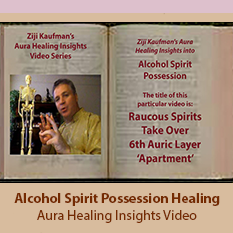 While ALL spirit entities should be removed from the aura if possible, often times they are filling or plugging up some leak, tear, or hole in the person's aura created by some traumatic experience that happened to the client in the past. 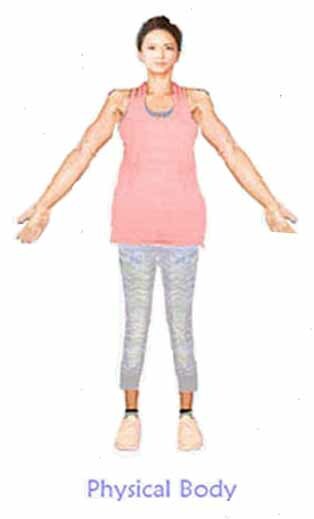 The client's Body Wisdom has to be ready to heal that leak, tear, or hole immediately once that entity is removed, or else the Body Wisdom might decide it's better to leave the entity where it is for now, until a healer, like myself for example, comes along that can do this type of entity removal.